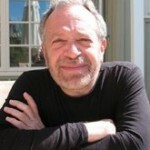 Robert Reich: Fools or Knaves? One of the most dangerous consequences of this awful period in American life is the denigration of the truth, and of institutions and people who tell it. There are two kinds of liars – fools and knaves. Fools lie because they don’t know the truth. Knaves lie because they intend to mislead. Trump is both because he doesn’t even care enough about the truth to find out what it is. He’ll say whatever he thinks will get people to believe what he wants them to believe. What about people like Treasury Secretary Steve Mnuchin, Trump’s point person on the Republican tax bills now making their way through Congress? Mnuchin continues to insist that the legislation puts a higher tax burden on people earning more than $1 million a year, and reduce taxes on everyone else. “I can tell you that virtually everybody in the middle class will get a tax cut, and will get a significant tax cut,” Mnuchin says repeatedly. But the prestigious Tax Policy Center concludes that by 2025, almost all of the benefits of both bills will have gone to the richest 1 percent, while upper-middle-class payers will pay higher taxes and those at the lower levels will receive only modest benefits. So is Mnuchin a fool? His career before he became Treasury Secretary doesn’t suggest so. He graduated from Yale and worked for seventeen years for investment bank Goldman Sachs. Problem is, virtually all other studies by every other source show the House and Senate tax bills overwhelmingly benefit the rich and, within a few years, harm the middle class. Even Congress’s own Joint Committee on Taxation – the House and Senate’s official scorekeeper on tax issues – finds that the Senate’s version of the bill would increase taxes on all income groups making under $75,000 per year. By 2027, it would give its biggest tax breaks to those making $1 million or more. The House bill would be even more generous to millionaires and billionaires. Mnuchin’s response? He has none. He just keeps repeating the same lie. But even the Tax Foundation – a major proponent of the corporate tax cuts – estimates the House bill will cause a $1.08 trillion revenue loss over ten years and the Senate bill, a $516 billion loss. Assuming Mnuchin isn’t a fool, he’s a knave. He intends to deceive the public. By doing so he has abandoned his duty to the American people inherent in the oath of office taken by every cabinet official, in favor of advancing the goals of his boss and other Republicans in Washington who are desperate to pass their tax bill. He has also sacrificed his credibility and integrity. Why? Because he’s Secretary of the Treasury in an administration that has no integrity. Merely by joining Trump, he made a Faustian bargain and lost whatever integrity he might have had. Apparently, Mnuchin will say anything to retain his power and influence in the Trump administration. He knows he’ll never have anything close to this power again. Mnuchin probably figures: So what if he lies about the true consequences of the tax bills? Trump lies about them, too. So does the Speaker of the House, Paul Ryan, and the Senate Majority Leader Mitch McConnell. He probably assumes most of the public will never know he lied. Even those who know will soon forget. In this era of Trumpian big lies, there are no consequences for lying. But history may not be kind to Steve Mnuchin. Over the last century, authoritarian and fascist regimes have intentionally and systematically denigrated the truth. The knaves who helped them are remembered in ignominy.